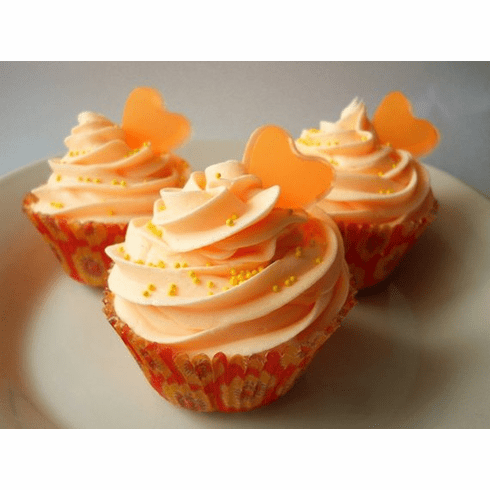 This fizzing bath cupcake smells of juicy mangos. Topped with a heart glycerin soap. It comes in a cute cello bag with a bow and a tag and is ready for gift-giving.